This service is for bars, restaurants, and catering companies looking to upgrade their menus. 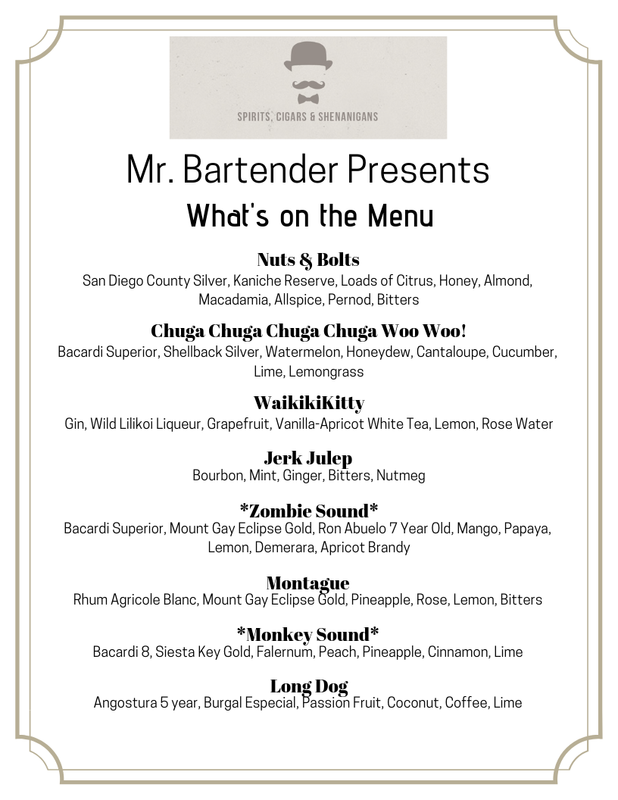 At Mr. Bartender, we like to work with various themes and budgets to help you elevate your guests' experience. We specialize in combining interesting ingredients to make unique flavor combinations. 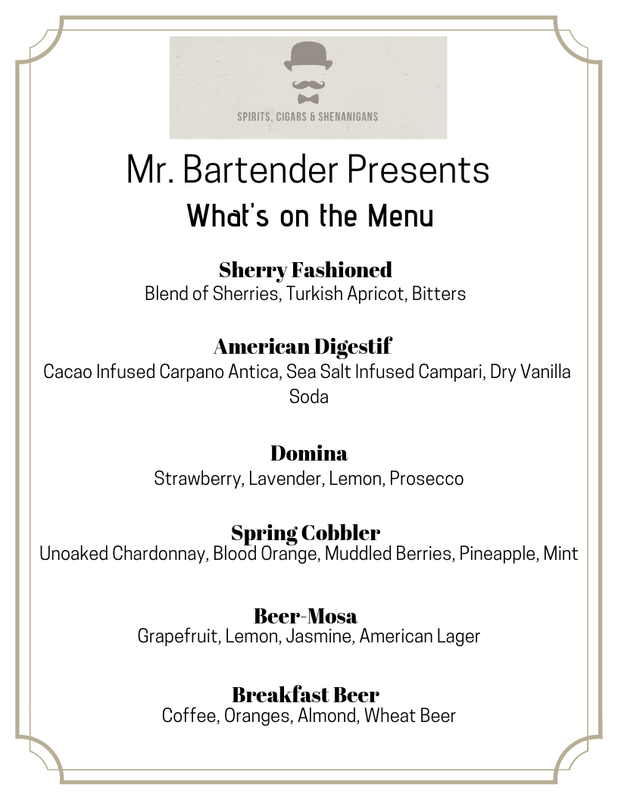 Feel free to peruse our sample menus below and email us at ilovemrbartender@gmail.com to ask for a consultation quote. Many bars/restaurants/parties operate based on a themed design, and it’s important that your menu (not just your food) is in-line with that theme. We take great care to research your theme, whether it be a nationality or something from pop culture. Here you can see a Russian themed menu utilizing Russian names, references, ingredients, and flavors. There is a growing trend of low-proof and no-proof cocktails these days. Whether you’re operating with a beer & wine license, or you just want to offer your guests something that won’t have them ubering home, having a few low-proof cocktails on the menu can be a unique addition to your bar. There’s no reason that less alcohol has to mean less quality. Either because the product doesn’t exist, or it’s too expensive to source, some cocktails will require custom ingredients that you might have to make yourself. We can help you start your own craft cocktail program while considering your prep & budget limitations.